History and Information on Flower and Sons Ltd. of Stratford-on-Avon in the county of Warwickshire. 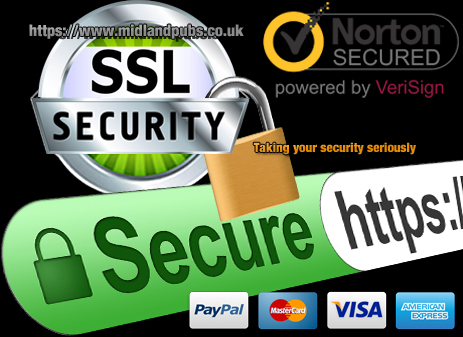 www.midlandspubs.co.uk | Breweries | Warwickshire | Flower and Sons Ltd. 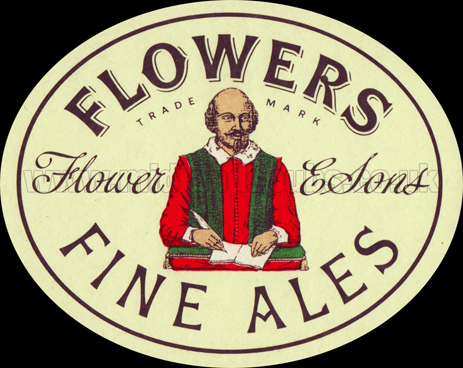 Flower's Brewery was founded in 1831 by Edward Fordham Flower. Born in 1805, he was the youngest son of Richard Flower, a brewer, banker, politician and sheep breeder of Marden Hall, near Hertford. The family owned a significant estate but Richard Flower, reportedly despondent and pessimistic with regard to the depressed condition of Britain's agricultural industry following the war with France, decided to sell his property and land and emigrate to America. He assembled a large party of friends and labourers to join his family's move to what was then the frontier region. Edward Flower was 12 when the family was uprooted in 1817. Richard Flower was a key member of a group of pioneers who proposed to establish a small colony within Illinois. After a long and arduous journey the settlers named the colony Albion which, today, is the seat of Edwards County. Richard Flower acquired a large tract of land from the Government, though local inhabitants viewed the 'English Settlement' with some suspicion. Five years earlier the two countries had been at war. The family settled shortly before Illinois became the 21st U.S. state. Allegedly, Richard Flower played an influential role during an 1822 vote in which state residents decided against making slavery legal. Paradoxically, native Americans were obligated to leave the region and move to Iowa, an undertaking enforced by the Black Hawk War of 1832. In helping his father establishing a new home in adversity, Edward Flower's teenage years were no doubt colourful. Through shrewd investment in livestock and agricultural machinery, the Flower family were successful in establishing flourishing farmlands, a key learning experience for the future brewer Edward Flower who became known for his remarkably energetic character. Edward Flower would later recount that, living close to the border of a slave state, the family were "constantly having skirmishes with kidnappers, and protecting free African-American's from capture." His father is credited with frequently assisting them in their escapes by personal and pecuniary aid. Edward Flower became gravely ill with severe fever and ague when he was 19 years-old. As part of his rehabilitation he returned to England. During his convalescence, which was arguably an elegiacal experience, he determined to remain in the land of his birth. There is however an account which alleges that Edward Flower had to flee America following threats to his life after being involved in an anti-slavery campaign. Formal education had not been a possibility in America so he determined to acquire some learning north of the border at Lanark where he was staying with the family of the late Robert Owen. How Edward came to Warwickshire is not clear. However, in 1827 he married Celina, eldest daughter of John Greaves and Mary Whitehead of Watchbury House, Barford. Edward Flower was now part of a wealthy family but determined to forge his own independence by going into business. His first enterprise as a timber merchant was in partnership with John Cox. However, this venture proved unsuccessful and dented his capital. It was the Duke of Wellington's Government, acting to cut the tax on brewery beer, that inspired Edward to enter the brewing industry. He gained experience of brewing through family relatives, the Fordham family, and served a form of apprenticeship at their premises in Ashwell, Hertfordshire. 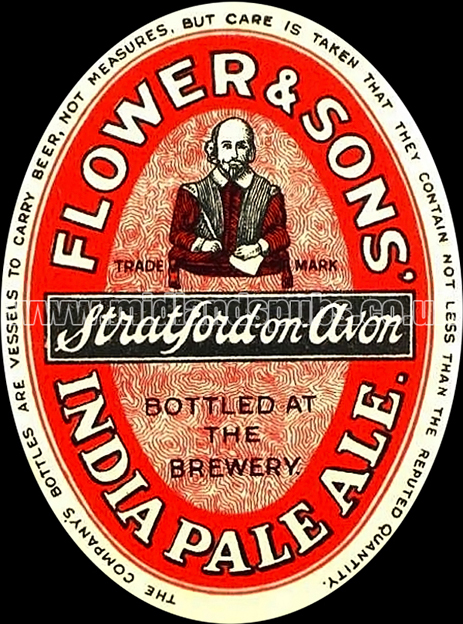 In 1831, with a legacy following his father's death in Illinois, he established his own brewery at Stratford-on-Avon. The premises were erected on land between the Birmingham and Clopton roads. The brewery was served by a canal wharf which facilitated the delivery of materials along with the onward distribution of finished products. The first few years were not without difficulty, particularly through hard lessons learned from poor techniques. However, the introduction of an East India Pale Ale, based on the pale beers produced in Burton-on-Trent, put the brewery on the map. 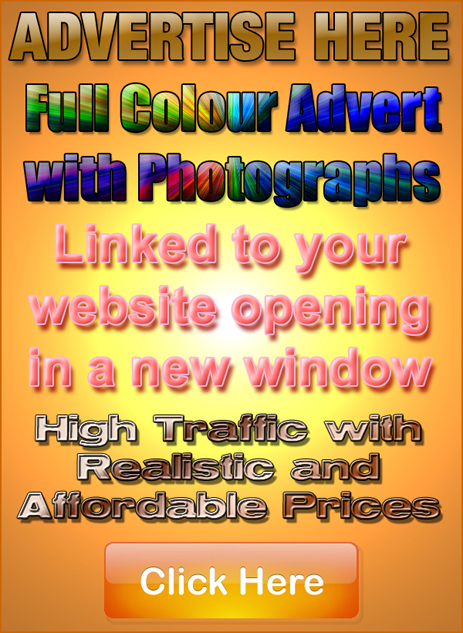 Sales increased rapidly year-on-year and the company's future was secured. 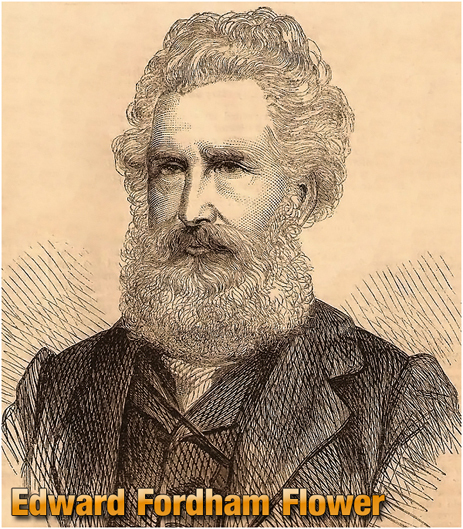 In 1852 Edward Flower was joined by his son Charles. Another son, Edgar, would also join the company which enjoyed steady growth during the mid-Victorian period. 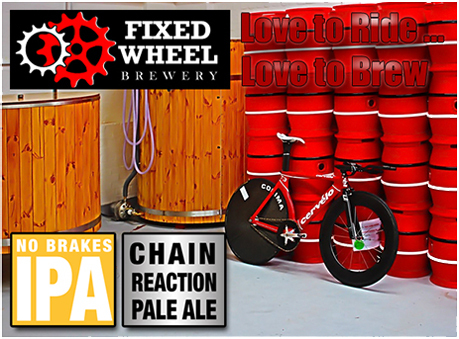 The original site proved to be too small so a new brewery was built on the Birmingham Road. Brewing continued at the old plant and the offices were retained for an administrative function. After thirty successful years, Edward Flower retired from the brewery and left the business in the control of two of his sons in 1863. The company's founder was four times Mayor of Stratford, and was also a county magistrate. He became known for entertaining American tourists who came to visit Shakespeare's birthplace, often opening his doors to visitors at The Hill, a mansion he had built in 1855 with wealth accumulated through the brewery. 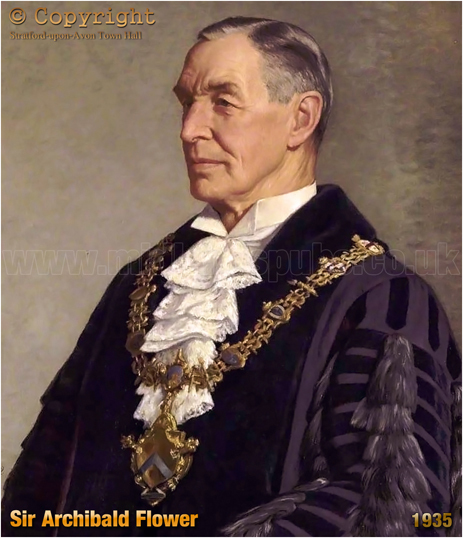 His last term as Mayor saw him oversee the town's celebrations for the Tercentenary of Shakespeare. He twice contested parliamentary seats but was not elected. He and his wife Celina moved to London where the retired brewer worked as a philanthropist, particularly in the field of equine care. Indeed, he would later be dubbed the "Horse's Friend." Edward Fordham Flower died in 1883 at his residence in Hyde Park Gardens. Celina died a year later. 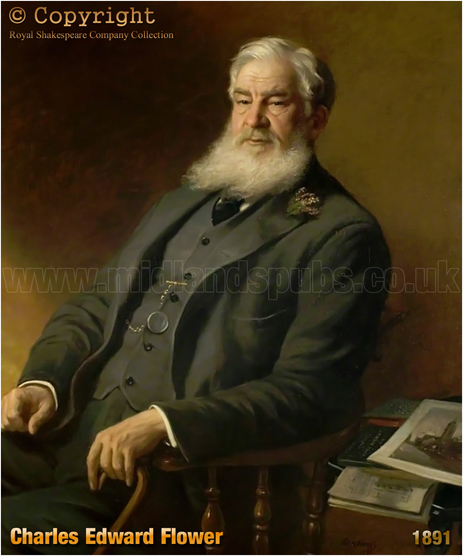 Charles Edward Flower, who had joined the brewery in 1852, also served as Mayor of Stratford and was the munificent founder of the Shakespeare Memorial Theatre. Edgar Flower, in addition to his work at the brewery, was known as an artist and local antiquary. Edward and Celina's other son was Professor William Henry Flower, the distinguished naturalist and surgeon, and also Conservator of the Hunterian Museum of the College of Surgeons. He also served as Director of the Natural History Museum. Charles Flower died in May 1892 from apoplexy during a meeting of the Warwickshire County Council. 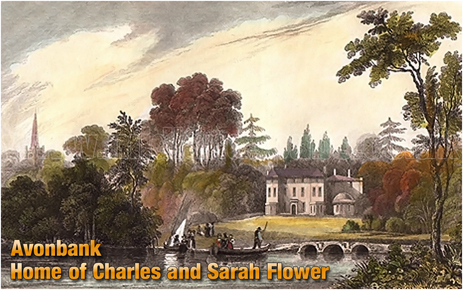 He and his wife Sarah resided at Avonbank to the north of Trinity Church. The daughter of Philip Martineau, Highbury, London, she also took an active role founding the Shakespeare Memorial Buildings. Following her husband's death, she continued to take a keen interest in the festival, her monetary contributions being frequent and generous. She also continued to fund the restoration of the grammar school, almshouses and the Guild Chapel. After she died in 1908, the newspapers reported that "her private charity knew no bounds, and her philanthropy was not confined to any one sect." 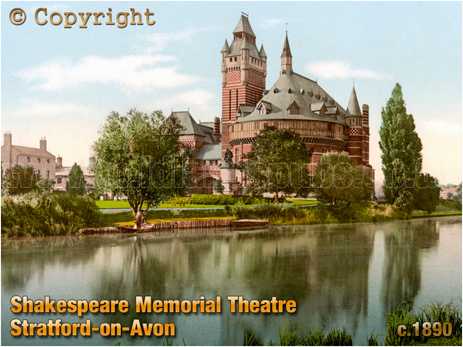 In addition to money, she left Avonbank, along with the gardens, and grounds, in order that they "should be connected with those of the Shakespeare Memorial Association by a continuous public walk, and that the house and gardens should be used as an adjunct to the Shakespeare Memorial Theatre. It was under the stewardship of Charles and Edgar Flower that the new brewery was constructed. During the mid-Victorian period the firm had become one of the most important employers in Stratford-on-Avon. By the time the new brewery was completed the workforce was around 200. Many more local people were engaged in trades that depended on the continued success of the company, from farmers to timber suppliers. In the late 1860's John Tod Dickie and John Wittews Downson joined the two Flower brothers in the management of the company. The new brewery was constructed by the building firm of J. & G. Callaway during the winter of 1869 and completed in March 1870. The old brewery remained in operation next to the canal network but, with a forward-vision of new transport networks, the new brewery was sited close to Stratford-on-Avon's railway station and served by its own sidings. The brewery was further extended in 1874, suggesting that the original plans were inadequate or that the company's sales were exceeding expectations. 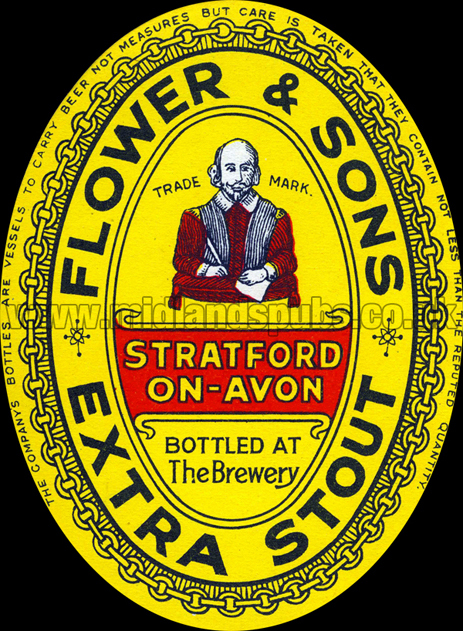 Export sales were an important component of the accounts and facilitated growth, along with establishing Flower and Sons as an important UK brewery. A network of agency offices were established throughout the country and this developed the company's domestic market considerably during the late 19th century. 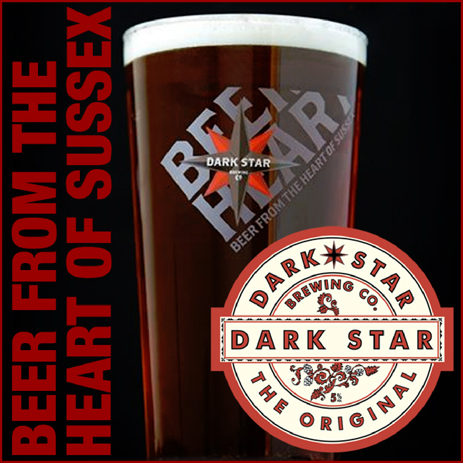 As brewing science developed during the Victorian period, the brewery was altered and improved on a regular basis. One such innovation was the modernisation of the mashing plant in 1881 by Emil Welz, a German brewer and engineer. Five years later electricity was installed at the brewery to ensure a constant energy supply. Along with capital expenditure on the brewery, Flower and Sons developed a tied estate of public houses. By the end of the 1870s the company controlled 20 public houses, mainly in the Stratford-on-Avon area but also with a few outposts a little further afield. Further acquisitions were made during the early-mid 1880s but the estate's size was accelerated when the business was registered as a liited liability company in February 1888. Directors on the early board included Edgar Flower, his sons Archibald Flower and Richard Fordham Flower. The latter was killed at Hammanskraal during the Boer War when serving as a lieutenant in the Warwickshire Imperial Yeomanry. Madeira-born Archibald Park also sat on the board, along with Francis Lawrence Talbot who had been appointed as head brewer. It was during the company's restructuring that Charles Flower retired from the business. 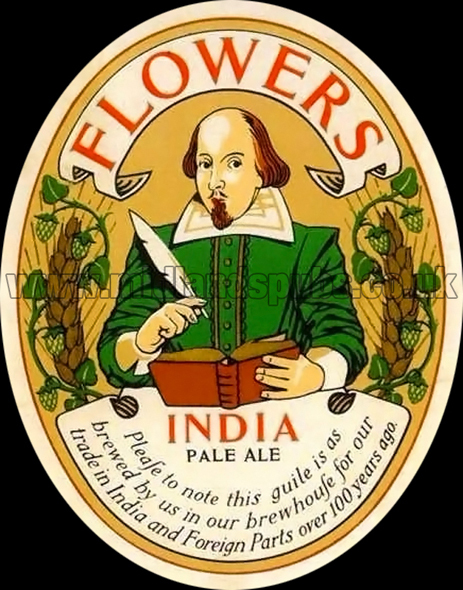 Although Charles Flower headed the business for many years, he is perhaps remembered for his endeavours commemorating Shakespeare. It was in 1875 that he donated a two-acre site and launched an international campaign to erect a theatre in The Bard's birthplace. The resulting theatre, a building adored by Oscar Wilde and accommodating over 700 people, opened in 1879 with a performance of "Much Ado About Nothing." The theatre was destroyed by fire in 1926 and Archibald Flower, nephew of Charles Flower, launched a fund to build a replacement. In 1927 he embarked on a fund-raising trip to the United States in which he and his wife raised a million dollars. Five years later the New Shakespeare Memorial Theatre, the first public building to be designed by a female architect [Elisabeth Whitworth Scott], opened to the public. Archibald Flower took over at the helm of the company following the death of Edgar Flower in July 1903. However, he and his brother Richard Fordham Flower had played an increasing role within the company since it had been registered in 1888. In 1896 the brothers offered former apprentice Gilbert Thwaites a place on the board at Flower and Sons Ltd. 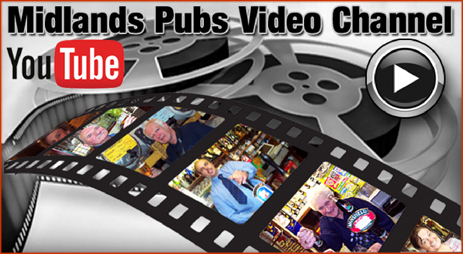 He was a member of the Thwaites family that owned the Eanam Brewery in Blackburn. Although Flower and Sons Ltd. snapped up individual public houses that came onto the market they, like many large brewery concerns, started to acquire rival breweries in order to take control of their tied houses. In 1896 the company acquired the Caudlewell Brewery at Shipston-on-Stour for £28,250, a deal that included 26 public houses. The company went further afield in a bid to increase their estate. 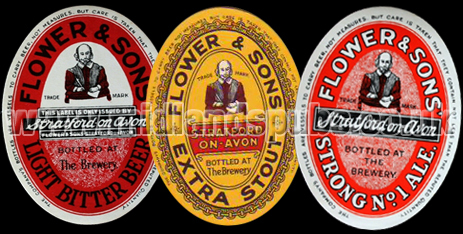 In 1899, Flower's took over the Tavistock Brewery in Devon. Gillett's Swan Brewery at Moreton-in-Marsh was acquired during the following year. The early years of the 20th century were not favourable for Flower and Sons Ltd. Difficult trading conditions and government legislation forced the shrinking of some markets, particularly within London. Through the autocratic leadership of Archibald Flower, the company remained stable but ambitions of becoming a national brand diminished. However, the company continued as an important provincial brewer. Trade improved after the First World War and the company reinstated its takeover programme, notably Fortescue & Son of Bromsgrove in 1926 and Rowland's Brewery of Evesham in 1948. By this time the company's tied estate totalled 350 properties. 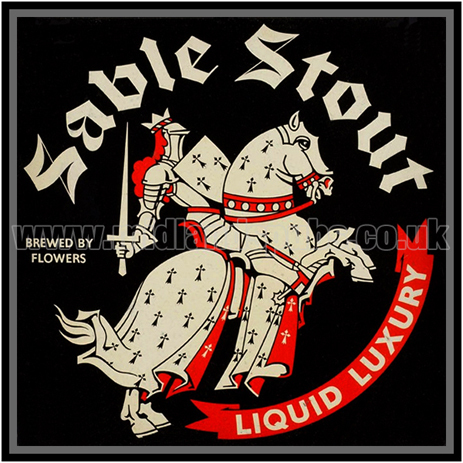 Sir Archibald Flower died aged 85 in November 1950 so did not live to witness the takeover of the family's brewery. He had been Chairman of the Trustees and Guardians of Shakespeare's Birthplace for 50 years, along with a similar position at the Council of the Shakespeare Memorial Theatre. 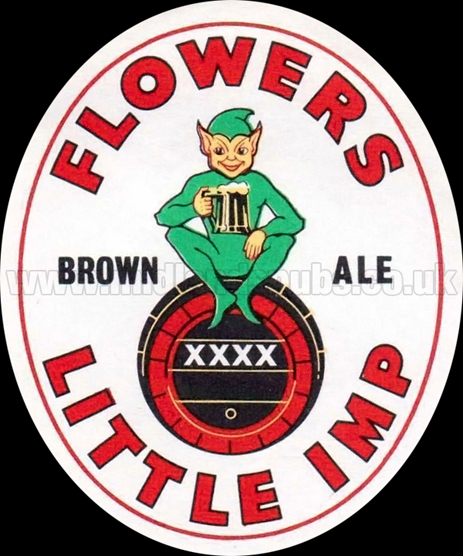 Flower's Brewery was acquired by J. W. Green Ltd of Luton in 1954 and the name changed to Flower's Breweries Ltd. 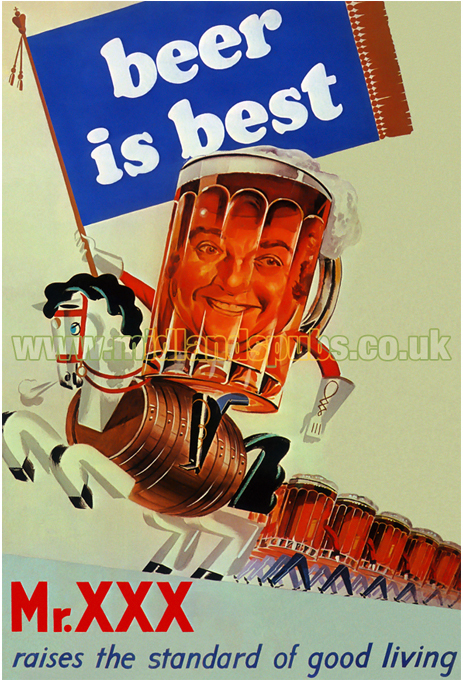 In 1961 the parent company was absorbed by the expanding Whitbread empire, one of the big six brewers in the UK. 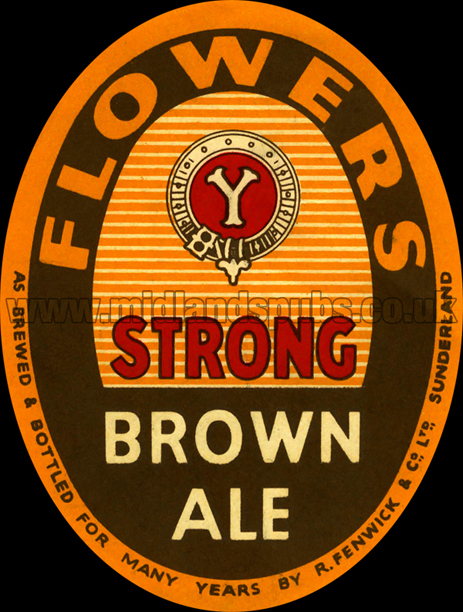 Flower's Brewery was closed in 1968 and production transferred to Whitbread's Cheltenham Brewery. "Mr. Richard Flower, most respectable farmer from Hertfordshire, emigrated with his property to America, and has bought and settled with his family on land in the Illinois. From that place, he has written to his friends, giving account of the prospective advantages of the place from the richness of the soil, the salubrity of the climate, and the cheapness of living, but he justly abhors and condemns the continuation of slavery in the United States, which ought to keep every liberal man from its shores; and he does not, in our mind, lay sufficient stress on the privations which a person accustomed to the comforts of England must endure. He can have no recourse to medical aid in case of malady - no intellectual enjoyment, for he says there are no books; and if they could by their industry produce in time a surplus corn, they have no market nearer than hundreds of miles." Hereford Journal : December 15th 1819 Page 1. "A complimentary dinner was given to the workmen and others in the employ of Messrs. 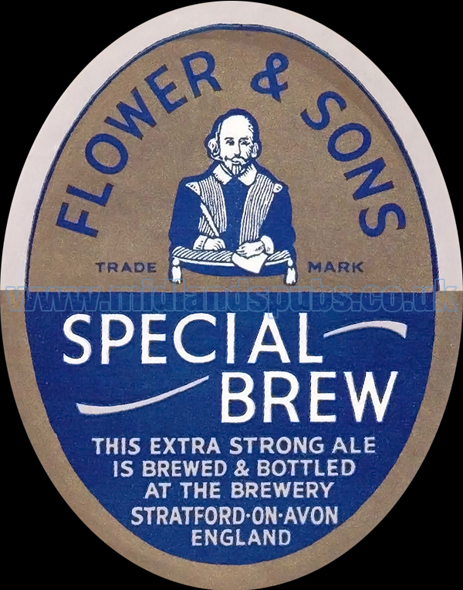 Flower and Sons, brewers, of Stratford-upon-Avon, on Saturday afternoon last. The occasion was the completion of a new brewery on the Birmingham Road, which has been necessitated by the enormous increase in their trade. The brewery, established in 1830, now covers an extent of ground of many acres. The new brewery, erected on the west side of the Birmingham Road and adjacent to the Railway Road, was designed by the firm, and the work carried out by Messrs. J. and G. Callaway, contractors and builders, Birmingham. It has been most substantially erected, and with all the modern appliances requisite for carrying on a gigantic trade. The engineering part of the internal fittings have been constructed and erected by Mr. Oxley, of Frome under the direction of the chief engineer, Mr. Wilson. Every recent improvement has been introduced, and the size and completeness of the whole, both internally and externally, render it capable for the firm to meet the requirements of their heavy trade. The entertainment was given in the "Union Room," on the ground floor. Three long ranges of tables, with a cross table, were placed the entire length of the building, and at them were seated nearly 300 of the workmen. The invited guests included the Mayor [Mr. Bird], and other local notabilities." Worcestershire Chronicle : March 16th 1870 Page 2. "We much regret report a serious accident which befell Mrs. Archibald Flower, wife of the Mayor of Stratford-on-Avon, on Friday last, whilst hunting with the North Cotswold Hounds. The meet was at Charingworth, and the accident occurred near Campden. Mrs. Flower is a fearless rider and goes straight at a fence; and on Friday her horse fell on landing over a fence where there was big drop, with rough ground sloping away, Mrs. Flower being thrown to her head. The animal must have turned right over, as the pummel of the saddle was crumpled up; but we are pleased to say that it neither kicked nor fell on its rider. Mr. Flower, who was only about a hundred yards off, at once came to the assistance of his wife, and found her lying stunned by the fall and unconscious. Messengers were despatched for medical aid, but it was half-an-hour before a doctor arrived. Under the care of Dr. Dewhurst the unfortunate lady was removed to Greville House, Campden, Mr. Dease kindly placing his residence at her service. At eight o'clock Mrs. Flower regained consciousness for a minute and recognised her husband. Since then she has been lying in comatose state - just able to speak at times, but apparently knowing nothing about the accident. Mrs. Flower was brought home to The Hill on Monday afternoon and has since been attended by Dr. Norbury. She is suffering from concussion of the brain, fortunately sustaining no other injury. She has been slightly improving every day, and Dr. Norbury is well satisfied with her progress. Our representative called at The Hill late last evening, and this was the gratifying intelligence imparted to him by the Mayor. The greatest sympathy is felt throughout the town for both Mr. and Mrs. Flower, and earnest hopes are entertained that the Mayoress may be speedily restored to health. Mr. Flower asks us to express his thanks for kindly enquiries after Mrs Flower to the many whom he has not been able to thank individually." "Accident to Mrs. Archibald Flower"
Leamington Spa Courier : January 31st 1902 Page 8. "After over 64 years' connection with the firm of Messrs. 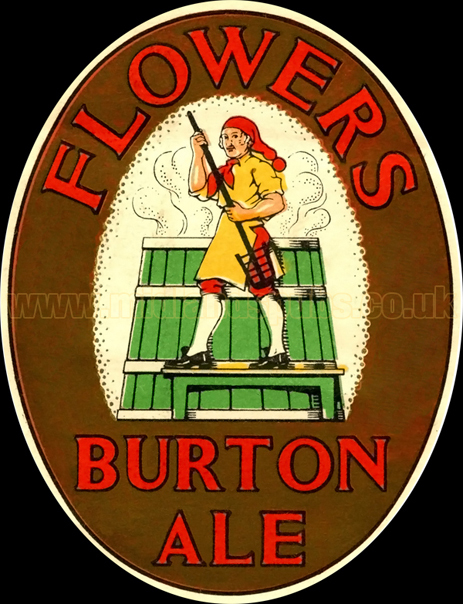 Flower and Sons Ltd., the brewers, 59 years as their traveller - he retired in 1933 - Mr. William Henry Kilmister died on Saturday at his home, 10, Priory Terrace, Cheltenham. Well known in Cheltenham and throughout the Cotswolds, Mr. Kilmister, who was in his 90th year, and had been in failing health for about two years, was a son of the late Mr. William Kilmister, who was for 55 years the licensee of the Fairview Inn, Cheltenham. Mr. and Mrs. Kilmister celebrated the 65th anniversary of their wedding in April, 1944, for they were married at Highbury Congregational Church on April 14, 1879. Sympathy of many friends will be extended to Mrs. Kilmister, the one married daughter, who resides in Gloucester, and four sons, all of Cheltenham in their loss. Joining the firm of Messrs. Flower when he was 14, Mr. Kilmister became a traveller for the company five years later, and continued in this capacity up to the time of his retirement. For 40 years he travelled the Cotswolds in horse and trap, and in his early days when there were few houses that were not free, he did an extensive trade with private customers in town and country. A nine-gallon cask of beer was then much in favour, and it could be purchased at prices ranging from 6s. to 15s. Mr. Kilmister was a native of Cheltenham, as is his wife, who is a daughter of the late Mr. John Austin, of Cheltenham, and is 87 years of age." "Death of Mr. W. H. Kilmister"
Cheltenham Chronicle : September 15th 1945 Page 3. If you have a genealogy story or query regarding Flower and Sons Ltd. you can contact me and I will post it here in addition to including your message within the website pages for Warwickshire Genealogy.